Its never wise to flash the preloader.bin file found inside a ROM folder except we are really sure that the preloader.bin is exactly the one for that device. Since we are humans we are bound to always make mistakes hahahahaha you know were I'm actually getting at. If you made a mistake and flash a ROM with a preloader.bin file which is not the one of the device, the preloader partition gets corrupted thus making the device not being detected by the PC, boot or even charge ie Dead Boot. Since it cannot be detected, there is no way you can reflash the phone even when the original ROM of the device is now available. This post will show you how you can get your PC to be able to recognize the device again if its in such situation. This process to repair dead boots of mtk devices is known as Test Point. First you will have to loose the screws of the phone and take out the board. Now locate a golden point with lable KCOLO or KOLO or COLO on the board. Sometimes these points are found at the volume terminal. Locate the golden point with GND or normal ground on the board. Join the wire form KCOLO or COLO or KOLO to GND on the board. After joining this 2 points, connect the device to the PC and see if it detects. If it doesn't, look for another golden point with same label till your device gets detected by PC. When your device is detected by PC, it shows as MTK USB COM inside device manager. Now you will have to quickly flash the original preloader.bin file or complete ROM. After a successful flash process your device, you can now cut off the wire which you connected. Couple back the phone & Reboot. ; How to Debrick, Unbrick MTK Android Devices. how can i fix this or who can help me out? my smart mini s620 ( IMEI1:352509071395309 and IMEI 2: 352509071395317) dead after formatting.It can not be detected by computer. 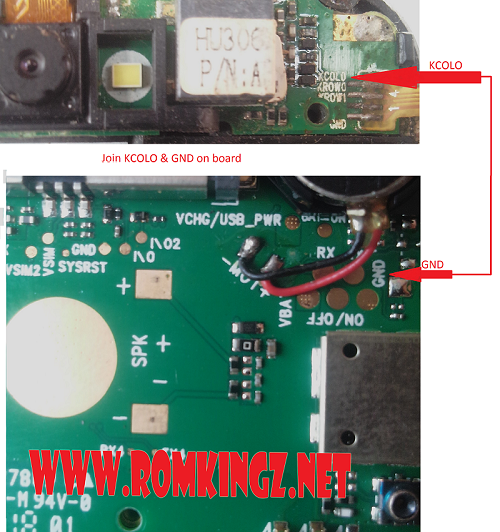 I have tried to look for (CKOLO, KOLO or COLO) points on the motherboard there is not something like that. But the "GND" point is there. I don't know how to fix my phone please help me!!! pls any video feed for dat? reading of instructions inside the ROM downloaded is highly of important..
hellooo every one am new here and happy to be among u guys. ok my pb is as follows my itel 1353 hard bricked after aflashing process so i poened it and i saw the GND pin but no kCOLO ,KOLO, COLO pin. My question is can i taste e very pin at the volume contrl terminlas? Me also i found KCOLO i connect the cable with GND but it it began to download,after show the red color,it stopped to progress,My phone is TECHNO P5.how i can do? ?Help me please. sir does it work on huawei y220-U00? please i need help to recover my phone badly. i have philz touch recovery on my phone and then with root. later i saw and ota update of about 24mb and it said to update i need to remove root. i did that, downloaded the update and asked it to install. then the phone rebooted and took me to recovery mode of which it said the opening the update package failed and installation aborted. now if i reboot the phone, it doesnt boot but simply takes me to the recovery. i have flashed backed the stock backup yet it wont boot instead it takes me back to recovery. i dont know if my mistake was to leave a custom recovery while update via ota. worst is my usb cant be detected by computer any longer. i dont know if its the kernel that is corrupted. please help me seriously. thanks in advance. If you ever find yourself in the situation when you need to locate your phone, just read this content on flexispy for phone, and your worries will disappear. It wooooooorks.I have revived Infinix x600,Wiko Sunset 2 and Tecno C8 That were both hard bricked by previous technicians in Kenya. Great!!!!! Working on mt6575 kagoo (Samsung Clone). Thank you so much!!! I cant find any of those on the pcb of samsung gts7582. mt6572. Hello! 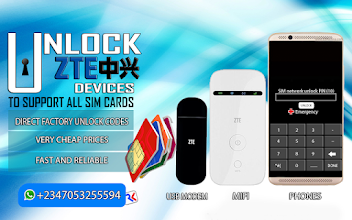 i have Tecno y3+ tigo customized in Tanzania, it has bricked but i can't locate kcolo on pcb, what to do to unbrick it?